I would like to quickly clear the Progress Percentage for all Goals. Easy: just use the 'Zero Progress (incl. 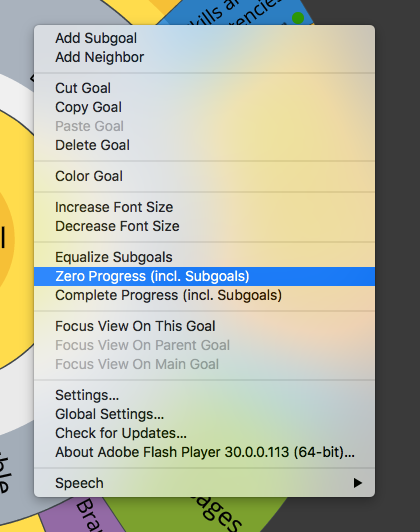 Subgoals)' option in the right-click context menu or, for the selected goal, the Goal Edit menu (see screenshots). 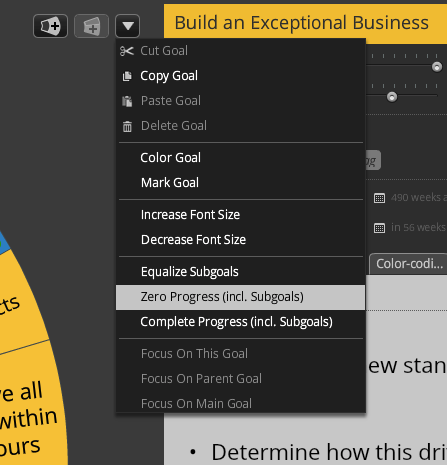 To clear the progress for an entire project, do this on the Main Goal at the centre. Richard Parslow closed this discussion on 03 Jul, 2018 04:27 PM.